The Secretariat of the Basel, Rotterdam and Stockholm Conventions is pleased to announce the selection of Branch Chiefs for three of its four branches. Abiola Olanipekun has been selected as Chief of the Scientific Support Branch. Ms. Olanipekun has been heavily involved in the conventions, and has had a leadership role in its meetings for many years. Ms. Olanipekun worked for the Federal Ministry of Environment Nigeria (1987 to 2013) in the Chemicals Management Division of the Department of Pollution Control & Environmental Health and has coordinated the African region for over a decade in major international negotiations, policies and programmes on sound management of chemicals. She holds a Bachelors of Science and Masters Degree in Biochemistry and Environmental Science and Technology respectively from University of Benin, Nigeria and UNESCO-IHE, Delft, The Netherlands. 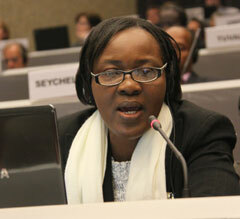 Ms. Olanipekun will officially join the Secretariat on 25 April 2013. Maria Cristina Cárdenas-Fischer has been selected as Chief of the Technical Assistance Branch. Ms. Cárdenas-Fischer has served as acting chief of the Technical Assistance Branch of the Secretariat since February 2012. She joined the Stockholm Convention Secretariat in October 2001 as a policy advisor, and over the years she has been responsible for managing the areas of work of the Secretariat pertaining to technical assistance (including the regional centres for capacity building and transfer of technology), the financial mechanism under the Convention, the national implementation plans, the reporting obligations and the expert group on BAT and BEP. From October 2009-February 2012 she was the coordinator for the technical assistance programme of the secretariat of the Stockholm Convention. Prior to joining the Stockholm Convention Secretariat, Ms. Cárdenas-Fischer, worked for the Colombian Ministry of Foreign Affairs (1993 to 2001) as special advisor for environmental issues. 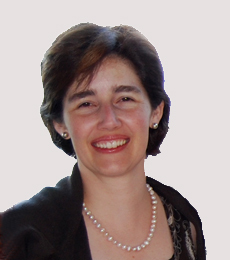 Ms. Cárdenas-Fischer is a Colombian national and holds a BA in Philosophy from Bristol University in the United Kingdom. David Ogden has been selected as Chief of the Conventions Operations Branch. 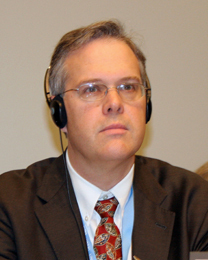 Mr. Ogden has served as the acting chief of the Convention Operations Branch of the Secretariat since February 2012. He joined the United Nations Environment Programme in March 1997 and served as the coordinator of the Stockholm Convention through its negotiation and following its entry into force. He chaired the coordinators group that was responsible for the organization and conduct of the first simultaneous extraordinary meetings of the Basel, Rotterdam and Stockholm Conventions in February 2010. Mr. Ogden worked for the United States Environment Protection Agency from 1987 to March 1997 mostly within the Office of International Affairs where he served as the lead analyst for international chemicals management issues. Mr. Ogden holds a Master of Science degree in Environmental Science, a Master of Arts degree in International Affairs, a Bachelor of Science degree in Political Science and a certificate to teach social studies at the secondary level. He is an American.